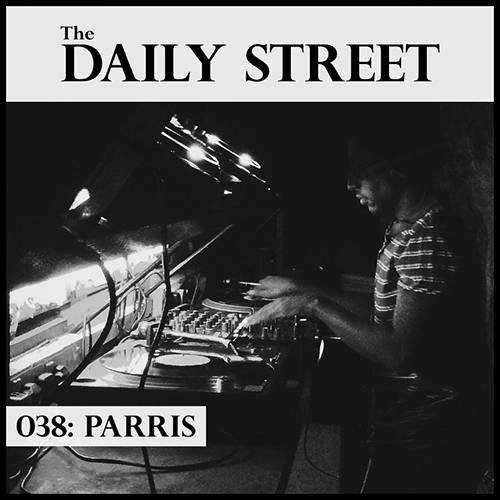 TDS Mix 038 is bought to us by London based DJ and producer Parris. Fast rising on the electronic underground circuit right now is Parris. Finding affiliation with Keysound’s brewing new breed of artists and running things at his own imprint Soundman Chronicles, Parris is currently emerging amongst a very healthy scene. Of late, activity has seen the artist pair up with fellow Keysound renegade Wen on the impeccable release that was “Caught/Collide”. Parris is the living example of vinyl culture being sustained in a digital age, largely playing out with dubs and vinyl almost exclusively, while also working the shelves of BM Soho. The mix he has blessed us with engulfs this enthusiasm and can be heard in the crackle laced beats. From the sounds of Techno to the more classic immersed Dubstep, flirting in between tempos, Parris conjures a perfect marriage of soundscapes and bass weight throughout this mix that will leave you overly satisfied with what you have just experienced.